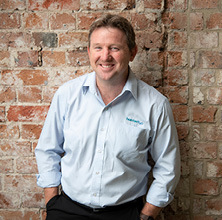 Todd Trench has 20 years’ experience in the electrical design and construction industry. The past 11 years devoted to water industry projects, both large and small. Todd has a good eye for detail and involves himself deeply across not only the electrical discipline, but the linkages between the process, mechanical, and commercial aspects of a project. His skill base comprises all aspects of thorough detail design and project delivery. Todd’s current (and recent) appointments include conceptual through to detail designs, moving onto project management, supervision, clerk of works roles and commissioning. He holds an electrical trade, engineering diploma, drafting certificate plus contracting and estimating certificate. Todd is experienced with electrical and communications installation, design, drafting plus the preparation of project documentation. He understands and appreciates the requirements and rigour required throughout a projects lifecycle and builds a natural and good rapport with colleagues and clients alike, striving for quality outcomes. Todd most recently has completed works for south west rocks sewage treatment plant augmentation, Mt.Crosby East Bank PLC Upgrade & Alum/flash Mixer Project and Koorlong WWTP and Reuse Scheme providing detailed electrical design and support to Lower Murray Water.